Save time and send one message to selected candidates. 2. Select the candidates you want to send the same message to (selected candidates will be marked with a blue outline) and click Message. The candidate will receive the message in their email. 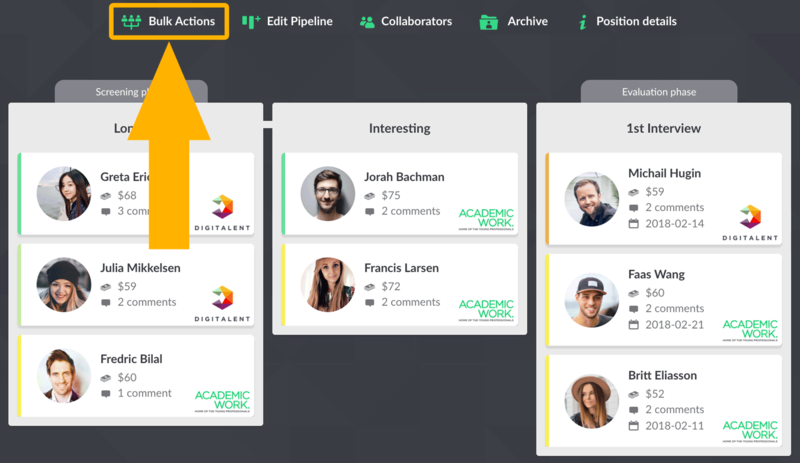 You will see your Communication History in the Candidate Card.